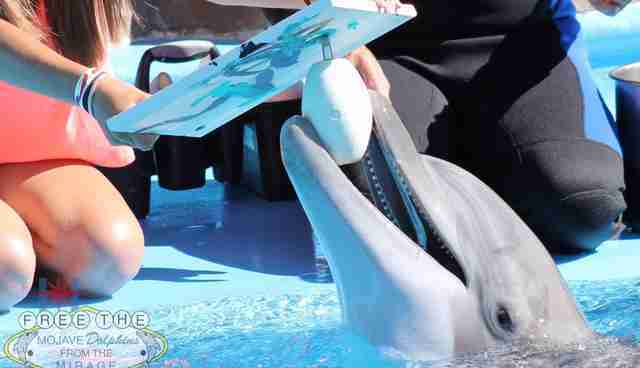 SeaWorld 'Loaned' Dolphin To Casino. And It Killed Him. 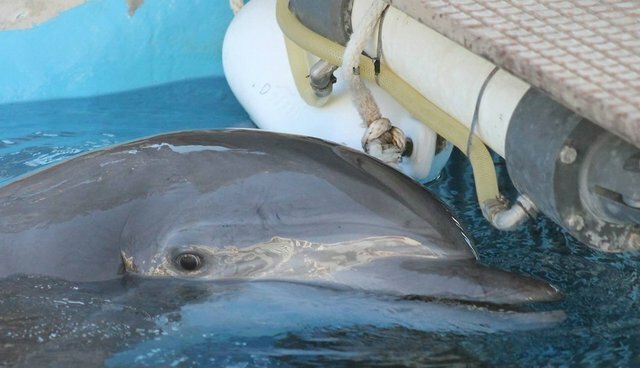 In a press statement from MGM, a 12-year old bottlenose dolphin named Beetle died on Oct. 27 of unknown causes. Beetle was the 13th dolphin to die at The Dolphin Habitat at The Mirage in Las Vegas. Historically, this facility has had 22 dolphins - now with a 59 percent mortality rate and an average age of death of 10-years old. Wild dolphins can live to be 50 years or more, concluding that this facility, even with up-to-date filtration systems and temperature-controlled water, restaurant-quality frozen dead fish and a full-time vet, the dolphins in Las Vegas are dying 30 years younger in their captive environment in the desert. Beetle was also used as one of the main dolphins in the "Paint with a Dolphin Program" where patrons pay to have a dolphin paint on a piece of canvas. Beetle was mainly kept in one of the three pools at the Mirage with minimal shade to find refuge in under the sun. Though there is a shade regulation under the Animal Welfare Act (§ 3.127 Facilities, outdoor. (a) Shelter from sunlight. When sunlight is likely to cause overheating or discomfort of the animals, sufficient shade by natural or artificial means shall be provided to allow all animals kept outdoors to protect themselves from direct sunlight. ), there have been multiple APHIS inspections, pressure from the community for constructing a structure, and even a verbal commitment from MGM to begin building in Spring 2015. No such structure was ever built. 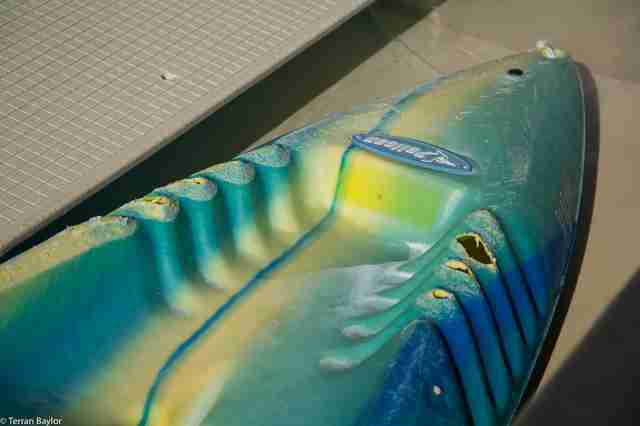 We would like to make sure Beetle is not replaced by another dolphin. 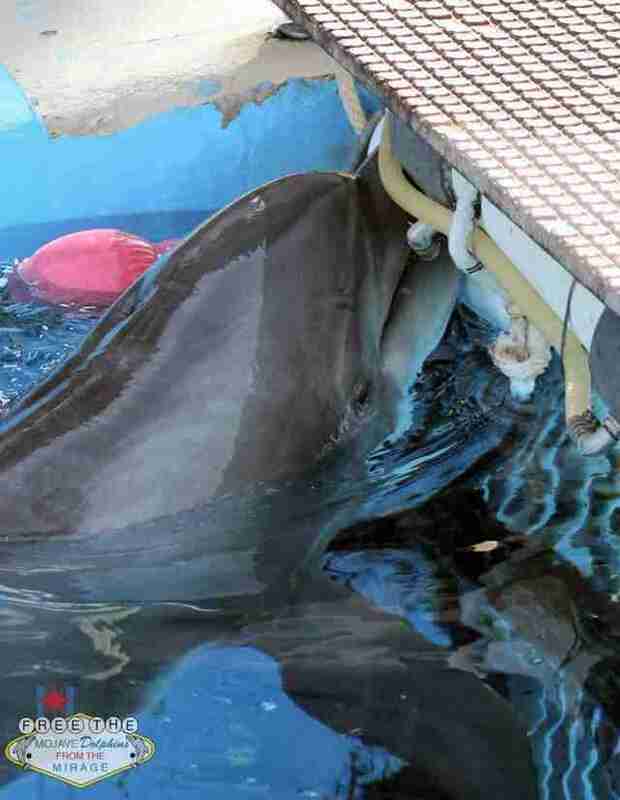 We would like for all breeding to end at The Mirage and to ban any additional importing of dolphins. Ric O'Barry's Dolphin Project is currently working on a dolphin sanctuary in Mexico where these dolphins have an open invitation to retire too. You can call MGM corporate at 1-(702)-891-1844 directly to tell them you will boycott them until they shut down the dolphin exhibit. You can also contact the Dolphin Habitat to voice your concerns at 1-(702)-791-7588 and 1-(702)-792-7889 Please also sign the petitions.